Following weeks of rumors and speculation, Microsoft today confirmed that they have teamed up with 40 TV and entertainment providers to bring shows and live television to Xbox Live. Verizon On Xbox 360 Cable Box Rumor: "Stay Tuned For the Future"
Here's the full rundown of the partnerships (existing and new) for all countries. 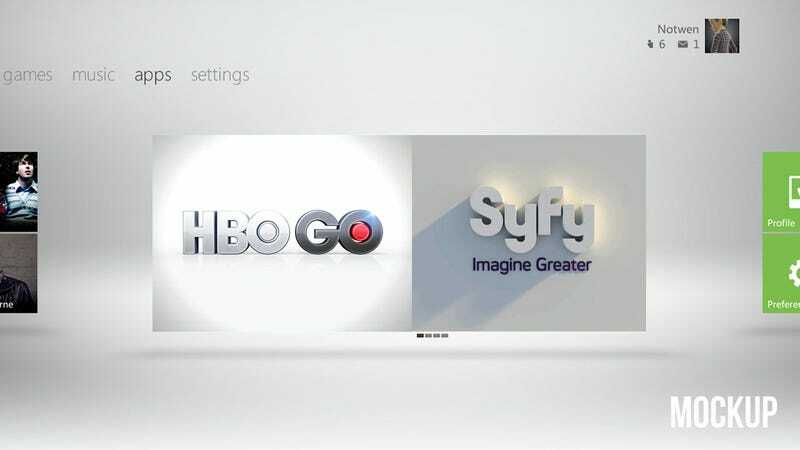 The list includes some heavy hitters like Bravo, Comcast, HBO GO, Verizon FiOS and Syfy in the U.S. They will start hitting consoles worldwide this holiday. What we still don't know, based on the single post on the Xbox.com Major Nelson blog post, is how exactly this content will show up on the console. On their own blog, Verizon says the deal is in line with their business of "breaking down old technology boundaries to create a borderless world..."
"We've announced that we are now collaborating with Microsoft to soon deliver a great selection of live, FiOS TV channels over the Xbox Entertainment System," wrote Verizon's Bobbi Henson. "What really makes this exciting is that this innovative, new service will integrate live, multi-channel streaming HD TV and Kinect voice and gesture commands via the Xbox." That certainly sounds like IPTV. Verizon says they plan to offer the service in time for the holiday season to customers who subscribe to both FIOS TV, FIOS Internet and have an Xbox Live Gold membership. That's a whole lotta subscriptions for one thing. More details from Verizon are promised as the launch date approaches. "By bringing the technologically advanced Verizon FiOS TV service to Xbox 360 and Kinect, we are advancing our vision to provide the best in entertainment in extraordinary new ways," said Tom Gibbons, corporate vice president of the TV & Service Business for the Interactive Entertainment Business at Microsoft. "Xbox 360 brings all your entertainment, friends and family together in one place, and we look forward to introducing Verizon FiOS TV to the console this holiday." • "The Today Show" – U.S.
Xbox LIVE Gold membership and/or other subscriptions/fees required. ** Denotes existing partners on Xbox LIVE available today.